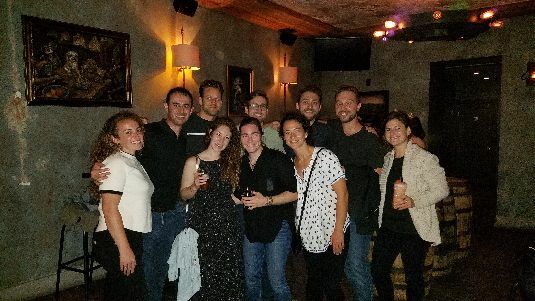 We love to see Brandeis alumni getting together! If you’d like assistance gathering members from your class for a reunion, the development office will help you organize the event. Also, at any class reunion the first two drinks are on Brandeis! More than 45 Brandeis eighth graders and class of 2017 alumni attended the first annual High School Freshmen/8th Grade Dinner. 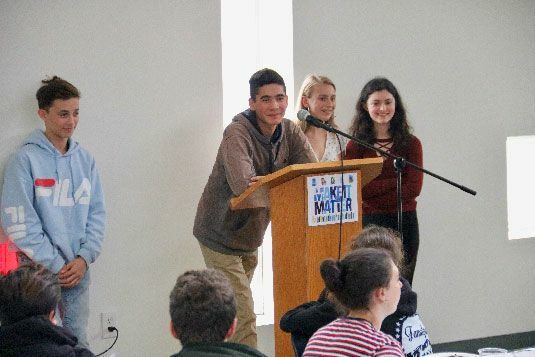 The event gave ninth grade alumni a chance to reunite with former classmates and to share their experiences about the transition from Brandeis to high school with current eighth graders.